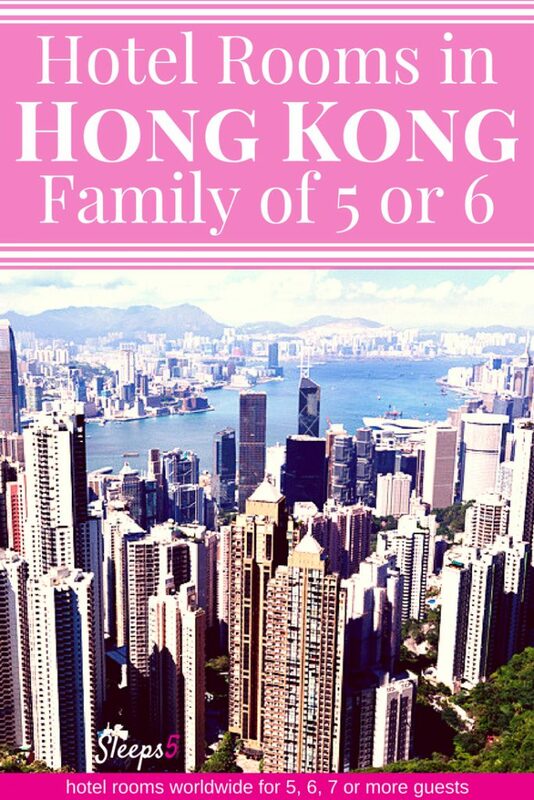 Hong Kong accommodation for a family of 5 or 6 in one family room or suite are listed in alphabetical order below (scroll down). The interactive Google map shows each family hotel Hong Kong location. The room price or rate range of each hotel is indicated with the $ symbol. See the $-symbol key in the sidebar. Click on the hotel name for more details. The detail information includes a location street map, the hotel’s address, phone number, website link, email address, and how to book. Large hotel rooms, suites, and a hostel are included. All have private bathrooms (ensuite) unless otherwise mentioned. There are King, Queen, double and single beds, and some of the rooms are suitable for a Hong Kong family vacation with the use of a sofa bed, and some provide an extra bed, such as a roll-away bed, or baby cot (crib). Listed below are family rooms for every budget. Check out the $ and $$ hotels if you’re looking for a cheap hotel in Hong Kong for family stays. Or click on hotels with $$$$ or $$$$$ for a luxury family accommodation. Keep in mind that prices fluctuate quite a bit seasonally, or during special events. It’s not easy to find the best place to stay in Hong Kong with family. The city is a popular top destination for travel with kids. For a family hotel, Hong Kong options do exist and we hope the list below of family rooms for 5 or 6 people helps you find the ideal one for your family! If you find another hotel in Hong Kong for families that’s not already listed here, please email us or comment below! And let us know how your experience was, we love to hear from visitors! 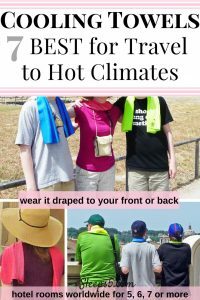 Thank you for sharing this list of hotels. All offered great room rated. I’ll share this to my friends. We are pleased that you found the list helpful! Thank you for your comment. Yey! Thank goodness for your website! It’s so hard to find hotels that can accommodate groups with more than 5 people. Will bookmark your site and share with friends! We are so pleased that our website may be helpful to you in finding hotels for 5 or more people. Let us know if you find other hotel rooms for 5 or more. We can post them on Sleeps5, at no charge or fee for the hotel. Too bad that i learned about this site only now. This is is going to be my best travel buddy from now on. Hope you update the list from time to time and add more cities. Thank you for taking the time to let us know that you’ve found our website helpful! And we also typically add a few more cities each year. Up next might be Brussels, Stockholm, and perhaps Dallas, Texas. So many ideas! Do you have any hotel that’s have bunkbed in hongkong? Preferably 4 stars hotel onward. For a room with bunk beds, check out Eaton Hotel. Scroll down to the Tips and Reservation Info for details about how to book the family room. If you reserve through a hotel discount website, make sure the reservation has free cancellation, and then confirm with the hotel that you are a family of 5. There may be some times in the year when a 3rd child can’t be accommodated. The hotel gets good reviews on hotel rating websites. If you find another Hong Kong hotel with bunk beds that can sleep a family of 5 or more, let us know and we’ll include it on Sleeps5.com! Hi, this is very useful especially that we are planning a hongkong trip early this year. Anyhow, would appreciate it a lot if you can recommend a budget-friendly place which can accomodate a family of 5 which is located near disneyland. Thank you so much for contacting us at Sleeps5.com. We’re so glad to hear you’ve found our website useful! We plan to add more Hong Kong hotels to our website very soon. Go to the Dorsett Mongkok hotel at the link below. Then scroll down to find the Booking.com link. Click it and the website will let you search by number of guests for Hong Kong Disneyland. You’re bound to find something just right for your family!